In 2006 Escentric Molecules launched Escentric 01 as an entirely new concept in perfumery – now stocked around the world and with a legion of loyal fans. 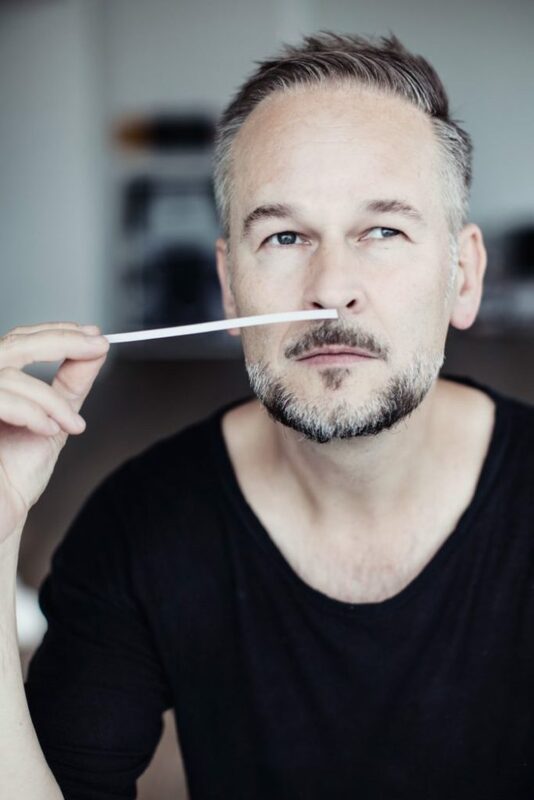 A self-confessed ‘rebel’ of the fragrance world, Geza Schoen – the perfumer behind Escentric Molecule – was disillusioned with what he felt was the commercialism and lack of innovation within the mainstream perfume industry. Individualism coursing through his veins, Schoen set out on a path that would truly shake up the perfume world – and which in fact had begun way back in 1973, within a laboratory at IFF [International Flavors and Fragrances] and the creation of an aroma-molecule non-existent in nature: Iso E Super. Molecule 01 (the ‘partner’ to Escentric 01) would contain nothing but Iso E Super – a single ingredient. The idea was startling, and Schoen admits he thought, ‘this one will appeal only to the artists, the freaks, the outsiders.’ Which goes to show how wrong you can be, for the launch was a phenomenon with perfumistas of both sexes going crazy for what basically bottles the warm, fuzzy comfort of nuzzling your lover’s neck and leaning in for more, more, more. 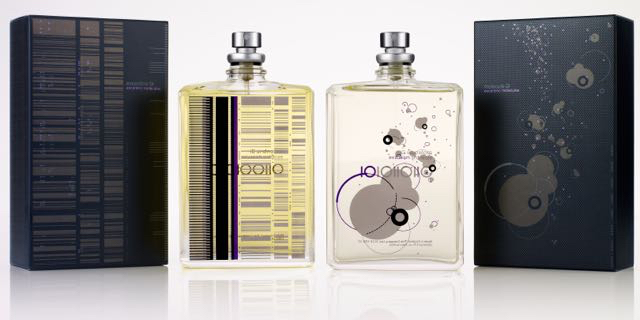 The incredible success of the 01 duo has been followed with consecutive pairs of perfumes launched together, sharing the same number and aroma DNA, but with a distinct point of difference – the ‘Escentric’ title denoting that a particular aroma chemical has been combined with varying ingredients to create a harmonious backdrop to the leading character, and the ‘Molecule’ title signifying the aroma-molecule has been allowed to stand on its own in the spotlight. In the 02 series, for example, we find Ambroxan – a nature-identical synthesised version of ambergris – the mineralic freshness of the sea subsumed with a swirling mist of softness that you can almost feel brush against your skin as you smell it. 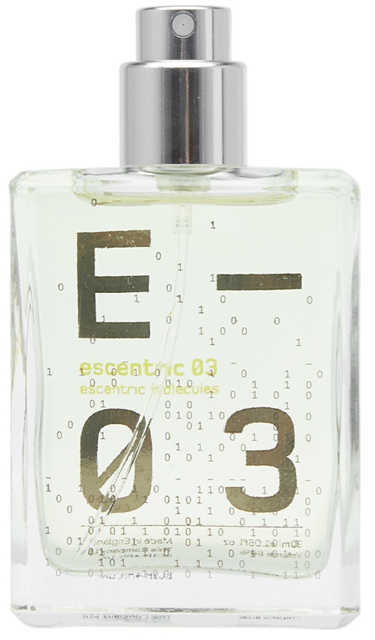 As before, Escentric 02 uses a supporting cast – this time the grassy shade of vetiver and cruelty-free synthetic musk, Muscone with a sprinkle of powdery orris, the zing of elderflower extract and a sun-drenched, jasmine-like hedione – while Molecule 02 is unadulterated Ambroxan to enjoy in its purity. Later pairings turned their olfactory zoom lens on to yet more diverse explorations – of vetiver in the 03 series, the Escentric version melding the aroma-molecule with a ginger beer-like fizz, gorgeous wafts of amber woodiness with peppercorns, tea and leather for a surprisingly uplifting sensation. For 04 the seriously room-filling sillage of smooth sandalwood is harnessed in isolation for Molecule 04 – and interwoven with ribbons of pink grapefruit, rose and pink peppercorns for Escentric 04: a scent that builds to an understated crescendo of a salty, creamy dry-down that lingers for hours as it warms on the skin. 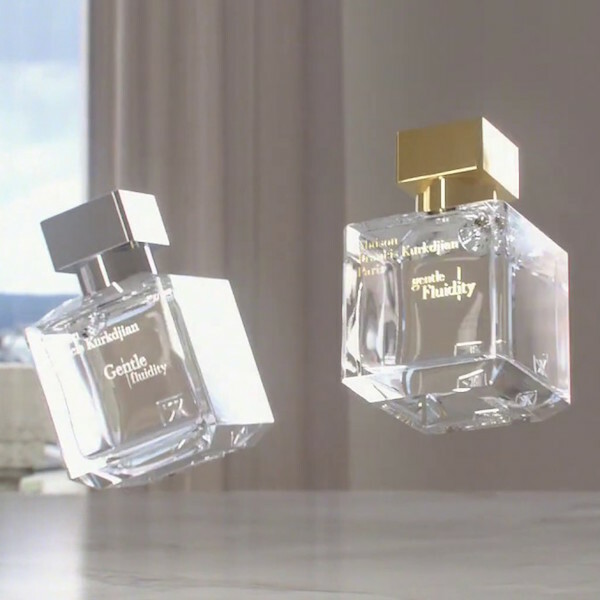 Each duo of Escentric Molecules perfumes celebrates the fact that these aroma-molecules are so diverse, so complex in their structure they can be worn alone as an entire olfactory journey contained within that single molecule. It is kind of mind-blowing, trying to get your head around so much being contained within a single, synthesised ingredient. 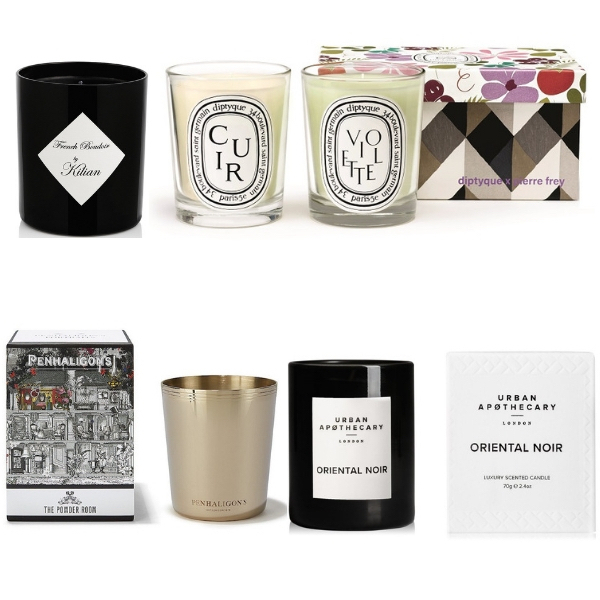 And equally impressive to discover that combining a man-made aroma-molecule with naturals turns a solo performance in to a stellar cast complete with high-kicking dancers, backing singers and an entire olfactory orchestra – while never losing sight of the big star with their name in lights.